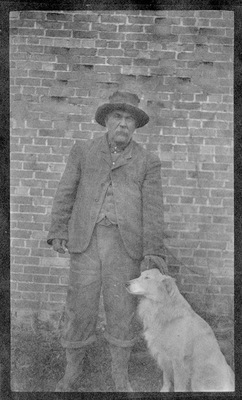 Unidentified man and dog posing at Union, Oregon. "Union, Oregon" (2014). Edward Nolan Photographs. 797. Oregon -- History -- Pictorial works.